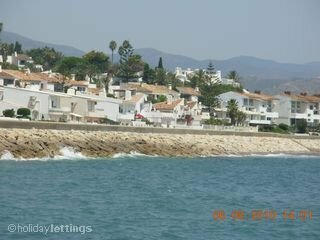 The Villa is situated on the front line ten feet from the sea, approximately 2 km along the coast going out of Estepona towards Gibraltar. 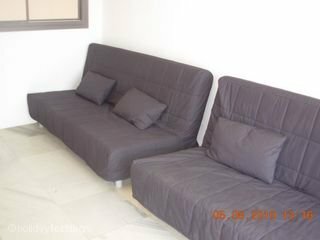 It is 20 minutes drive from Gibraltar and 1 hours drive from Malaga Airport. It is very easy to find because it is just off the main A7 (formerly E340), which runs all along the south of Spain and yet so near to the Mediterranean Sea. 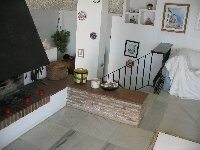 The Villa is suitable for the elderly as there are only five steps to climb to get to the lounge. It is on the front line of the Mediterranean Sea. You will find this most relaxing at night when you can hear the waves lapping away and the clear summer sky filled with thousand of stars is all yours when you are enjoying a nice quite drink with your loved ones. The Moon is always there reflecting across the sea. It is very private. Entrance with stairs up to split level lounge/dining room with an open fireplace and a television via satellite and a DVD player,. 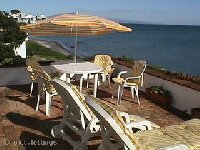 It has a large terrace with patio furniture, barbecue and magnificent views of Gibraltar Rock and also Africa in the far distance. To the left is the Port of Estepona and to the right is the Port Dequesa. Fully fitted kitchen with garden view the facilities include the usual plates and cutlery washing machine,dishwasher,hob,oven, and a large fridge freezer. 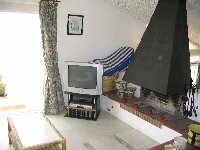 There are in total three bedrooms and all have the advantage of the sea view. 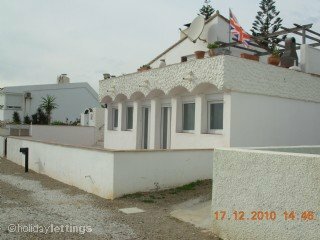 All three bedrooms have doors that open so that access to the sea front is immediate. 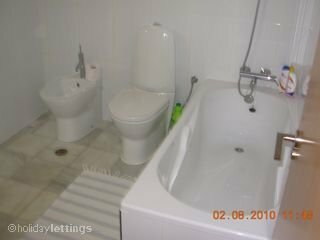 The main bedroom has en-suite bathroom. The other two bedrooms share the second bathroom. Therefore it will sleep 6 adults comfortably. Nightlife can be found at the three of the nearest Ports and also in Estepona town centre where vast number of bars offering varieties of atmospheres or dance till dawn (literally) at the discotheques. One must visit Port Banus; this is a very lively place, but bear in mind that nothing really gets going till after midnight. Golf is very rife in the region and one can enjoy many days golfing at the Estepona golf course. Situated over the road. If you are a novice then offers are available for day(s) tuition. Here, on the Costa del Golf one must indulge in a game of golf. For those with children, apart from the swimming pools and the sea there is a Aqua Park only 25 minutes drive away. A huge water park where all young and old can enjoy bags of fun and have a picnic. (summer only). �Selwo� wildlife park is also worth a visit.10 minuites drive away. Gibraltar (Great Britain colony) is a must for a day at least. Tax-free goods including spirits cigarettes and, ladies, many many perfumeries are available for the tourists. British Pound sterling is the currency in Gibraltar. Site seeing includes the Upper Rock by cable car, the great Siege tunnels, St. Michael�s Caves, the famous Apes, Europa Point, A Dolphin Safari, (recommended) and lots more. You could finish the evening at the Queens Cinema where a latest film is on show at less than half the U K prices or just stroll in the town centre shopping or dining at one of the many restaurants or bars. If you like skiing then Sierra Nevada is only 2 hours drive away and the season starts in December and lasts till the end of March. Talk to me about skiing I may be able to help with nearer flats. Car Hire is very competitive, this is recommended as Spanish bus service is not so reliable like ours here in the UK; Should you need any assistance in booking your flights or even advice on the cheapest and most convenient airline or car hire, or for any other matter then please call me. I am more than happy to help. Please leave a message in case I am overseas and I shall call you immediately upon my return. Early booking is highly recommended because of the high demand. A deposit of 25% must be paid with all bookings and the balance to be fully paid 12 weeks prior to your departure. Keys and other information will be forwarded to you upon receipt of full payment. 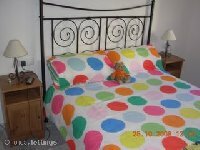 price you see is the price you pay for the villa to sleep 6 adults, no extra charges,discount given forlong term lets 4 weeks and over.